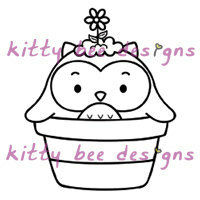 I'm up today over at Kitty Bee Designs. I'm showcasing Kaawaii Ms. Potts owl digi. Isn't she adorable? And so springy!!! Have to bring a little spring into our lives here in PA since mother nature has decided to be a little bipolar with us this month!!! supplies: papers-mermaid polka dot (amuse studio) and solar white cs (neenah); stamps- Kawaii Ms. Potts(Kitty Bee Design), floral silhouettes(amuse studio); ink- onyx (versafine); accessories- dots (michaels dollar bin) and pebble baker's twine (amuse studio),landscape die set (amuse studio). 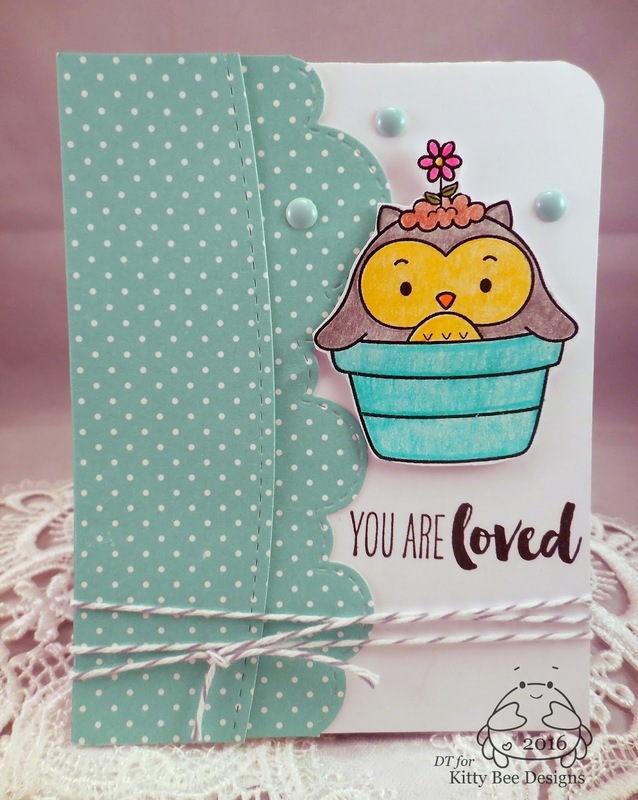 Tuesday Throwdown...use your die cuts! oh my! I love how you used the landscape die for this - so sweet! Aww, that is so cute!! LOVE the design!! This is adorable. Love the way you colored the image. Love the die cuts on the left and the DP is perfect with the image. Thanks so much for linking up and playing with us at AAA Cards. Really cute little owl, Sandi ! 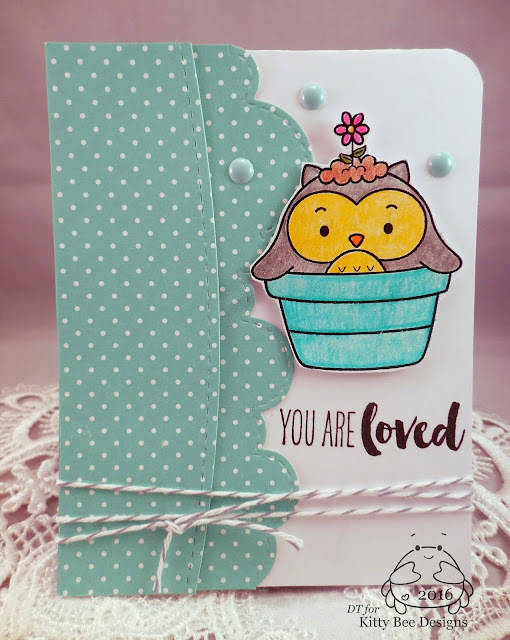 Thanks so much for playing this week in our "Die Cuts" challenge at Tuesday Throwdown. Good luck in the draw. Adorable! thanks for sharing with us at AAA Cards! Such a cute card. So happy you joined the Dare 2B Artzy Polka Dot challenge.